Free resource – take a waste audit! 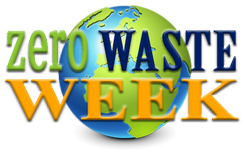 With less than a week to go before the tenth annual Zero Waste Week campaign, I’ve been encouraging participants to take a waste audit. There are two reasons to do this. First, we often don’t realise we’re throwing things away and second, we don’t know WHAT we are throwing away. We just put it in a black plastic bag, out of sight, out of mind, and try not to think about it again! But if you don’t know what’s in your bin, how can you hope to reduce your waste? I asked myself questions such as WHY I was throwing something away, where it was going (recycling, compost or landfill) then challenged myself to come up with an improvement to reduce my waste. It was insightful to see that some things are borne out of habit and how just a quick tweak can make a difference. And I learned that dried citrus peels are a good firelighter; thanks to one of my Twitter followers! As we run woodburners here at Zero Waste Towers, that’s a win for me! Waste Warrior Simon contacted me after seeing my audit and kindly added digital mastery to my very rough sheet! He’s turned it into a resource you can use to do your own waste audit. Download it as a free pdf here. Let me tell you a bit about Simon. Simon is a proud downshifter who runs Magic Oxygen Publishing with his wife, Tracy. Magic Oxygen Publishing was founded with solid green ethics and is powered by creativity, optimism and sustainability. Staff and visitors are fuelled by organic, Fairtrade food and drinks, the office is powered by renewable energy, they drive an electric car and that they plant trees for every new book published. They’ve also funded the building of a much needed new classroom in Kenya. Tracy inspired me many years ago with her “Book of Rubbish Ideas” – this book was ahead of its time in 2008 with hints and tips galore to get you reducing waste and seeing ‘rubbish’ as a resource. Tracy is an advocate for the simple, green life and her writing is very down to earth – no preaching, just a lot of hand holding and pats on the back. I’d highly recommend buying the book or borrowing from a library. You can find it as a kindle download here. Download your pdf resource and start auditing your waste today! Click on the blue pdf icon to grab yours now.